Since 1988, Creative Surfaces, Inc. has been handcrafting exceptional products. A family owned and operated business, we believe perfection and affordability are possible and these goals we strive to meet. Creative Surfaces was founded in 1988 by Ted & Bev Pins. In 1992 Jud Pins joined the company and in 1994 became President. Creative Surfaces, Inc. is a diverse business that is a high-end designer of all types of commercial casework, cabinetry, fixtures, and countertops, as well as interior and exterior signage. Our signage and cabinetry are so intricate that we also cater to the casino industry by supplying them with game cabinets & game specific signage. We are one of the top companies in the United States that manufactures and installs all of our own projects. We have skilled professionals employed in all departments of our business. From AutoCAD, to designers, to cabinet makers, to welders, to installers. Everyone that works for us is highly skilled in their trade. Our custom casework-millwork products are created to be visually thrilling with exquisite artistry and custom built by our team of experienced craftsmen. All the signs we build inspire your customers to fall in love at first sight! We can provide visually thrilling signage for all commercial applications. Do you custom design In-House? Yes. We have an exceptional AutoCAD engineering department that boasts decades worth of experience designing custom cabinetry and milled features. Where do you build your product? We are proud to say that we our products are American Made by American Workers. 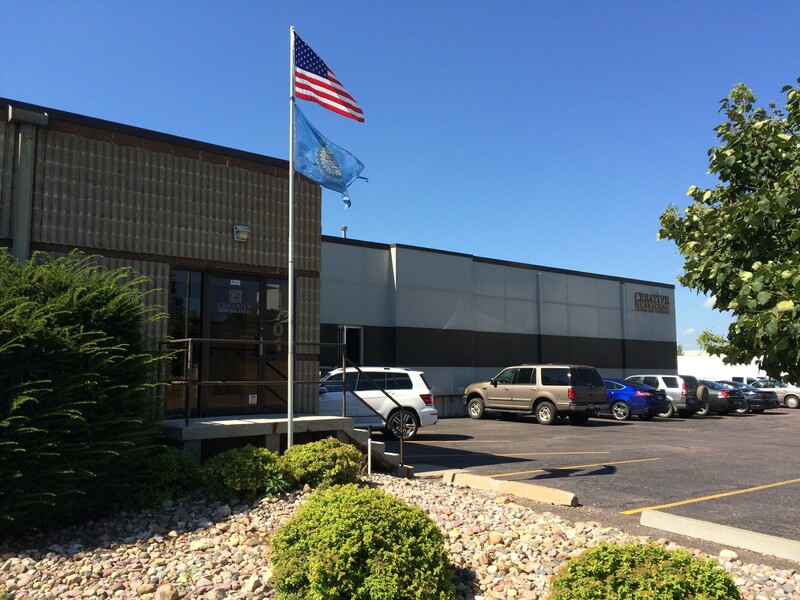 We build all of our products in-house, right here in the great state of South Dakota. Yes. We have our own install teams that travel globally and have installed projects in the United States, Canada, Mexico, and Europe. Our team consists of 17 experienced installers that are trained in their specific product – casework/millwork, countertops, and signage. Creative Surfaces Countertops & Tile is your “one-stop-shop”. Whether you are looking for countertops, floor tile, shower tile or decorative tile for your backsplash- we have everything you’re looking for with an endless palette of colors for all of our products. Our store is a relaxed, comfortable atmosphere with on-staff designers that will help you here or at your home free of charge. The Stone Center is a design studio – a place to see all the new products and colors. No project is too big or too small. All the signs we build inspire your customers to fall in love at first sight! Whether you are a casino looking to transport customers into a world of dreams and imagination or a retail storefront focused on presenting a winning image, we can provide! At Creative Surfaces our signage products are created to be visually thrilling with exquisite artistry and custom designed by experienced craftsmen. Our products and services include sign fixtures, casino signs, automotive displays, backlit graphics, fiber optics, slot glass, slot pedestals, 3D sculptures, neon lighting, LEDs, exterior commercial signage and interior commercial signage – and installation & service. Call us today and we will show you how we can deliver….Excitement! Let us help. Feel free to contact us anytime. A sales professional from our team will be in touch with you soon!